Are you looking for a meaningful drum method that grows with you? 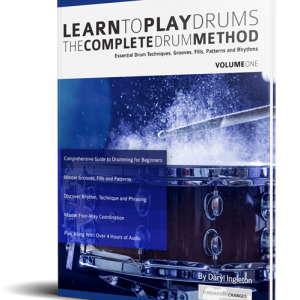 Do you need a comprehensive series of lessons from a professional drummer? 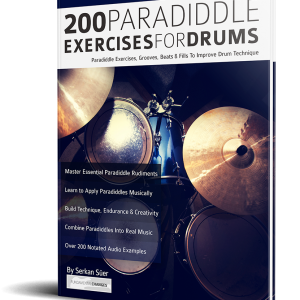 Do you want to build the fundamentals of drumming into powerful music and grooves? Do you want to develop the skills to express yourself on the drums? 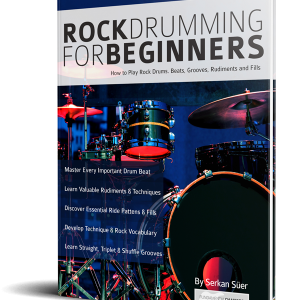 Learn to Play Drums goes way beyond every other ‘boring’ text book to teach you perfect drum technique… from the ground up. 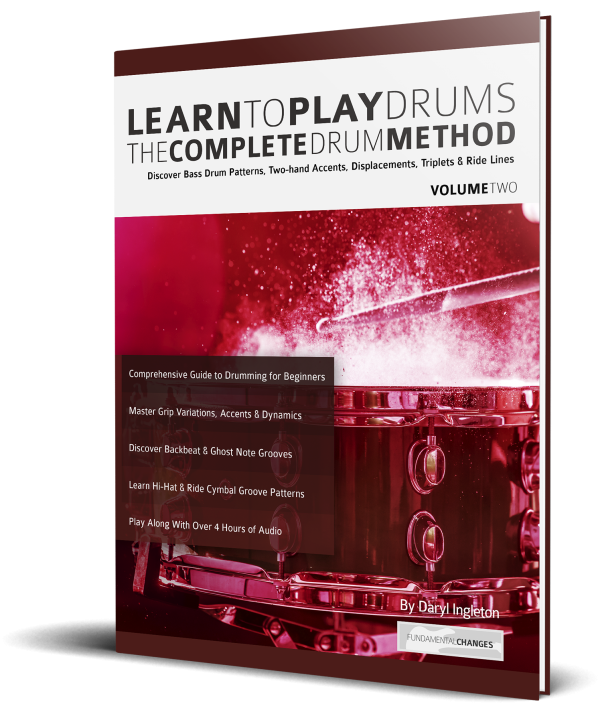 Learn to Play Drums volume 2 is the second book in the highly successful Learn to Play Drums series. These are the most in-depth guides to building modern drum technique available for beginners. 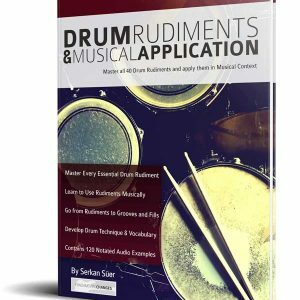 You will discover essential techniques, rhythms, grooves and exercises that build and internalise the fundamentals of modern drumming and learn important advanced playing skills. All these skills are continually combined and expanded until you’re playing exciting grooves and pieces with confidence and style. Go from zero to hero and quickly become the most important member of any band. Learning the drums from paper is one thing, but once you hear how the exercise should sound, they become music. Learn to Play Drums Volume 2 contains over 4 hours of supporting audio examples to help you get inside the music, and quickly apply each new drum skill in any real musical situation. Buy it now and discover the authentic language of the drums.